It is estimated that 300-million people suffer from depression across the world. Experts say it's important to take action to deal with it. As part of our Mental Health Initiative, WBFO's senior reporter Eileen Buckley says a local attorney found a way to help others as a way of enhancing his own mood. Dan Lukasik & George at St. Luke. As part of our Mental Health Initiative, WBFO's senior reporter Eileen Buckley says a local attorney found a way to help others as a way of enhancing his own mood. 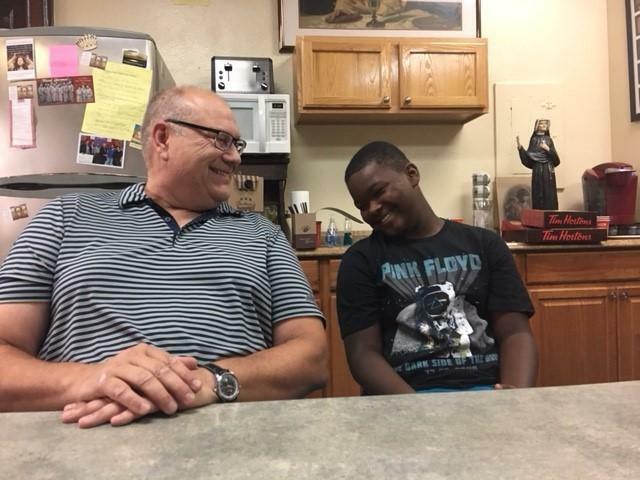 "One of the things that really makes a big difference for me is volunteering and I volunteer at St. Luke's Mission on the east side of Buffalo,” said Dan Lukasik. Lukasik was diagnosed with depression about 15-years ago and formed Lawyers with Depression. He speaks locally and nationally to help others. He is also the director of Workplace Well-being at the Mental Health Advocates of Western New York. Depression can be isolating and experts say helping others can provide a big mood booster. "What really is healing on so many levels is relationships,” remarked Lukasik. Lukasik starting attending Mass at St. Luke's Mission of Mercy a couple of years ago searching for healing through his deep Catholic faith. “And you know I’ve got to say there’s lots of things that help depression, but for me one of the biggest parts is my Catholic faith, because I think people with depression struggle with a sense of hopelessness,” described Lukasik. 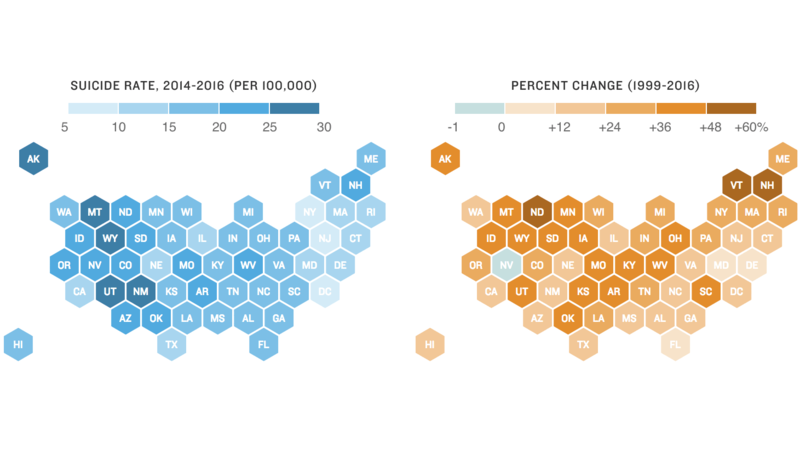 “And when they come here and they start working – I watch their lives change – because they give – they receive,” said Amy Betros, co-founder of St. Luke’s. Lukasik asked Betros to match with a boy he could mentor. Over a year ago she matched him 11-year-old boy who is growing up without a father. We aren't allowed to use George's last name, but he joined our interview inside St. Luke's. Lukasik let’s George listen to rap music in his vehicle. 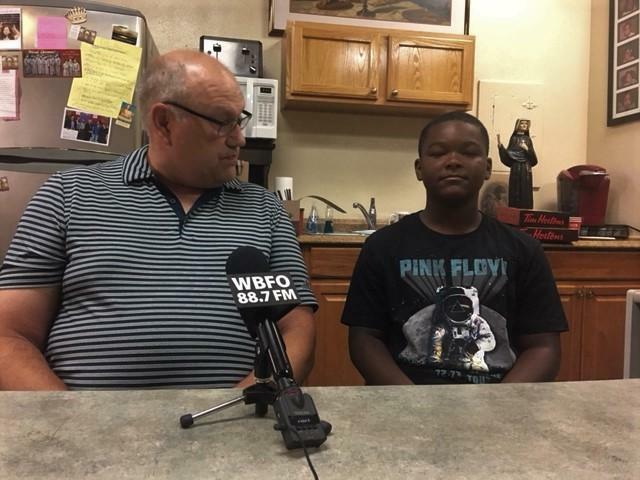 George attends Our Lady of Black Rock School in Buffalo and during the school year Lukasik picks him up a couple times a week from school. George's school work has improved since forming his relationship with Lukasik. Dan Lukasik & George at St. Luke's. “Before we met my reading was low and then we started working together. He started helping me with my reading and then as the days go by, my reading has got a lot better. He asks me questions and I ask him questions and we read together and we play games together,” George said. “The most thing we usually did was go to the movies,” George recalled. “And sometimes we go to Lazertron or sometimes we’ve gone to – the library is one of our favorite places to go,” Lukasik said. As you watch the two interact, smiling and laughing, you begin to realize how they are serving one another to overcome their personal struggles. “It helped me a lot because he help me to build up to be the person I am now,” George replied. “George is a relationship I could have never could have imagined just a few years ago. George and I are very good, close friends and I love George,” Lukasik responded. With one in four people struggling with a mental health disorder, it has become a growing concern in the workplace. 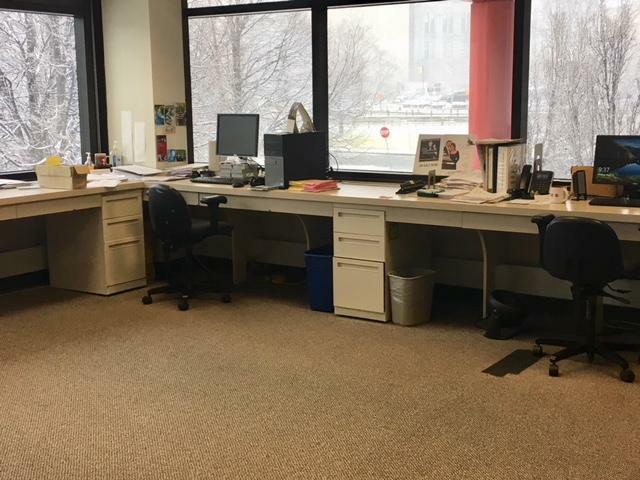 As part of our Mental Health reporting Initiative, WBFO's senior reporter Eileen Buckley says the Mental Health Association of Erie County has named a new director of workplace well-being. WBFO's senior reporter Eileen Buckley says the Mental Health Association of Erie County has named a new director of workplace well-being. For many, the holiday season brings depression and, in more severe cases, thoughts of suicide. This includes many veterans who, upon returning home from overseas tours, may be struggling to process their experiences as they a time of year that's expected to be festive. 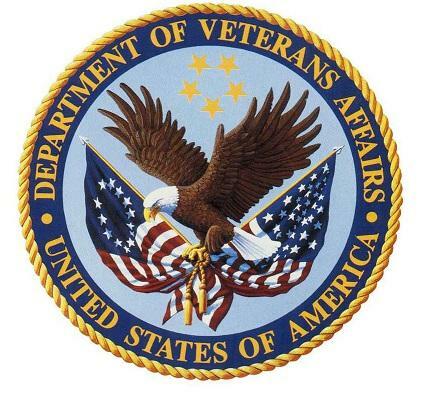 A professional who works in mental health with the Department Veterans Affairs in Buffalo offers pointers for recognizing when a veteran may be in need of help.